Today we announce the filmmaking teams that have been selected to be part of Go Viral! It was an extremely competitive process and the selection panel had a large number of submissions to assess before reaching their decisions on the final five. Scroll down to find out more about these filmmaking teams, each will recieve $4000 to produce their micro-film. Chris is one of Australia’s up-and-coming comedic filmmakers (Australia just doesn’t seem to be aware of that yet). A personally-acclaimed director, writer, and actor, Chris knows his way around all aspects of film production, (even without the use of a map). After graduating with a BFA in Film and TV production in 2016, Chris has worked on many projects in many different capacities. His short film ‘How to become a Dictator’ was awarded “Runner up” at the London World Wide Comedy Short Film Festival in spring, 2018. Australian born, world native at heart, Gary Parker is a visual storyteller and designer with a penchant for new experiences in places near and far and a thirst for the unknown. His work is an ongoing pursuit to capture the magic that is life. He currently resides in the Northern Rivers region on the east coast of Australia. When Gary’s not creating, you’re more than likely to find him in the ocean or in the garden. GO VIRAL! is a new Screenworks initiative delivered in partnership with and funded by Create NSW. It is open to short microfilm proposals of a 5 min maximum duration with a focus on current social issues. Create NSW and Screenworks will fund up to 5 online creators/teams who are based in Regional NSW or Sydney and Western Sydney. Three of the opportunities will be provided to Regional NSW content creators and two to Sydney/Western Sydney content creators. On approval, the successful applicants will receive $4,000 in production funding to realise their ambition. Production Company Co-Curious has been appointed by Create NSW and Screenworks as the Executive Producer who will brief and liaise with the successful teams living in Sydney and Western Sydney. Screenworks will support selected creators/teams living in regional NSW. We are seeking proposals for films that are under 5 minutes long and draw attention to a current social issue close to your heart. The ideal projects will be sharp, specific and uniquely told through any medium whatsoever..it just needs to land squarely on a screen. We want to help you disrupt the online space by inspiring you to produce truly motivating content that connects effectively with its target audiences. Tell your story creatively through any genre, use animation, drama, documentary, comedy, music, satire or anything you like. If you can convince us that your micro-film will inspire action in your target audience, then we will help you to GO VIRAL! Please read these guidelines alongside the Create NSW Terms of Trade which outline general eligibility requirements. Content creators who have made micro-budget content for online/digital platforms and already have a loyal online audience are strongly encouraged to apply. Applicants need to be aged 18 and over. All applicants need to include a NSW-based key creative, individual or company or have at least one NSW-based key creative (writer, producer or director) attached. Meaning that they must be based in and working from NSW, and ordinarily have lived in NSW for at least six months immediately prior to the date of the application. Applicants may not be a fulltime employee of a broadcaster or enrolled in fulltime tertiary study. Applications from part-time broadcast employees and students will be assessed on a case by case basis. Applicants can be individuals or teams. Teams are required to include at least one female key creative. You can submit or be attached to multiple applications; but we do advise you to put your most competitive projects forward. w/c 26 Nov 2018 – Shooting script delivery. Create NSW and Screenworks are committed to supporting increased participation in the screen industry of people from under-represented groups including women, Aboriginal and Torres Strait Islander peoples, people from CaLD backgrounds, people with disability, LGBTQI people, people from western Sydney and people from regional NSW. Priority will be given to teams including people from under-represented groups. Please consider inclusiveness, accessibility and diversity when forming your filmmaking teams. Applications will open on Friday 31st August and the closing date for submission is midnight on Sunday 14 October 2018. A 1-2min video pitch to camera describing your idea: Why is it important? How will you execute it? How and where will you find your audience(s)? Your current CV: please include any credits relevant to creating online content. The strength and distinctiveness of your concept. The strength of the story and the quality of materials you submit. The potential of your project to reach its target audience. The track record of the key creative(s) and/or associated companies. Your ability to deliver the microfilm on-time, within budget and to a high standard. The potential of your project to contribute to a robust screen industry in NSW. We may also take into consideration whether you have a number of concurrent outstanding projects in development or production that may impact on the quality. Final decisions will be made by the end of October 2018. If successful, you will be allocated funding of $4,000 (ex GST) to make your micro- film (maximum length of 5 minutes). If selected, you will be required to submit a production budget template to demonstrate how you will spend the funding. Budgets that exceed $4,000 will be accepted, however please indicate how you plan to make up the extra e.g. : through crowdfunding, corporate donation, in-kind. What kind of subject matters can be submitted? Any social issue at all. Think of the zeitgeist and what gets your creative juices flowing. If you believe it will smash through the online noise and cause change, then we want to hear about it. None. However, creators who have proven experience in producing micro-budget content for online/digital platforms and/or already have a loyal online audience are strongly encouraged to apply. Produced by content creators of all skill levels – ranging from a first-time to an experienced filmmaker. Uses traditional or non-traditional production techniques. The funding isn’t enough to produce my concept, what do I do? You can consider crowdfunding or forging corporate alliances to increase your budget. Ensure that any brands or companies sit well with your subject matter. Consider resourceful video production techniques, e.g. : filming on smart phones and using affordable editing/post-production software. How do I know who my audience is? Research, research, research! Try identifying key influencers for your topic and see who follows them, establish relationships with them and leverage any opportunities that come your way. How do I find my broadest audience? Will I own the copyright of my GO VIRAL! Micro-film? You will. However, you will be required to grant Create NSW, Screenworks, and Co-Curious a non-exclusive, worldwide, royalty free licence to use your micro-film for its own corporate or promotional purposes across all media for perpetuity. Funding will be provided as a grant. If you are successful, Create NSW and Screenworks will enter into a written agreement specifying the terms of the funding and what you will need to deliver in order to receive payments. You will need to finalise and execute the grant agreement within 6 weeks from the date of the approval, or as otherwise agreed in writing. All projects selected for production will be subject to editorial guidelines and must comply with editorial feedback provided by Create NSW and Screenworks (or its representatives). For selected participants living in Sydney or Western Sydney, Screenworks has appointed Co-Curious as Executive Producer to provide this editorial feedback and/or to deliver specific aspects of this initiative. The successful content creators will be required to grant the project partners an unlimited, non-exclusive, worldwide, royalty free licence to use the microfilm for its own corporate or promotional purposes including but not limited to use on websites, newsletters and/or annual reports for perpetuity. The successful content creators will be required to credit Create NSW, Screenworks and Co Curious in their project. 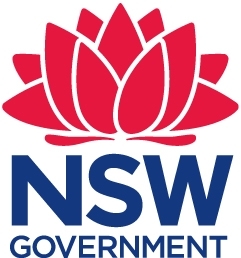 Create NSW and Screenworks reserves the right to approve budgets prior to contracting. Each selected content creator will be required to submit a shooting script to the project partners for approval before commencing pre-production and principal photography. Each key deliverable stage e.g. : script, edit, fine cut will require the approval of the project partners before progressing to the next stage. The project partners intend to promote this project through multiple channels including promotion via press releases and on social media channels. Each selected participant will be expected to support and co-operate with this to ensure that it is able to achieve the project promotion objectives set out above. If you choose to submit your micro-film into domestic or international film festivals, any entry fees will be your responsibility. Go Viral! is a Screenworks initiative delivered in partnership with and funded by Create NSW and supported by Co-Curious.